A marketer’s challenge is to get consumers to pay attention to them without sticking an ad in the middle of their mobile screens that might turn them off. Take a walk in any neighborhood and you’ll see why. People are wandering about, heads down, eyes glued to their phones, earbuds playing Spotify. Even when they’re outside, they’ve battened down their attention to focus on the rush of their digitally curated world, to the exclusion of everything else. Breaking through the digital cacophony to capture customers’ imaginations when they’re out of their homes is a fierce fight. The way to get consumers to stop what they’re doing and pay attention to you is a lot simpler than you think. If that is your goal, out-of-home (OOH) media is one of the most impactful mediums to do so. However, like most mediums, the ability to tell a story matters more than anything, with one crucial twist: an added dash of stimulant (in the way of incentives) thrown in. But let’s start with a definition. OOH media is way more than a digital billboard or an ad on a bus shelter. They are experiences and platforms that touch, talk and inspire. While both can tell a neat brand story, many brands are making clever use of public spaces, stunts and technology to engage consumers. Look at what Jose Cuervo did last year for National Tequila Day. 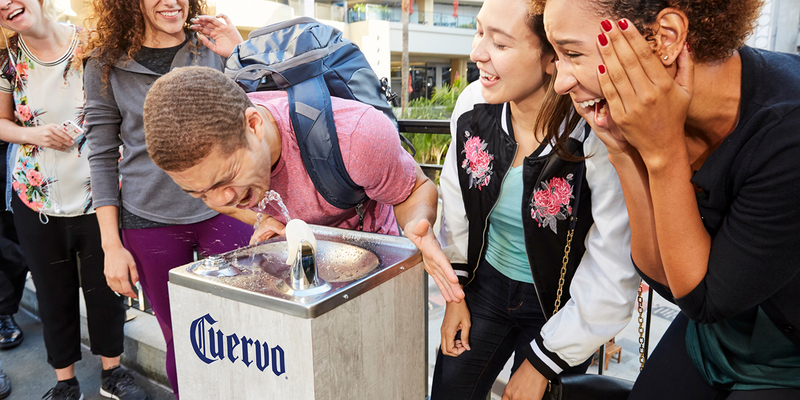 They upgraded three water fountains in Los Angeles to dispense Jose Cuervo Silver (and, of course, carded participants). Or when Behr Paint erected a pop-up house in Grand Central Terminal to reveal its first “color of the year.” The installation included handing on-the-run commuters a VR headset to view a 360-degree video that showed how the new trendy paint might look in a real home. The first 5,000 visitors took home cardboard VR headsets to let them explore more of the brand’s new paint colors. These are just some of the examples of brands redefining OOH media and getting consumers heads out of their phones. Here are a few ways to keep your audience engaged. Build a memorable, positive experience that provides value without asking for much in return. Don’t create barriers to entry. People don’t want to give you their email, phone number or other personal information. Give them free food, a virtual reality experience that they can’t get at home or a chance to do something they’ve never done before, preferably for free, such as shooting virtual hoops against an NBA star. An incentive like exclusive access, the opportunity to win a trip or some other thing of value that a consumer can’t get in other places. One of the reasons that NASCAR is such a phenomenal success is that it gives up-close access to experiences and thrills that enhance the actual event and can’t be purchased. Creative works when it’s integrated into the environment or is so out of place that it stands up in the best possible way. And make it unique and way different from what people are seeing on their screens. This is a no-brainer. Make sure your customers are where you’re placing your story. And make sure you’ve got lots of them in the form of the “right foot traffic.” Eyeballs alone don’t equal success. Some of the best, most engaging experiences are the simplest. A creative way to use a space or an element of surprise can draw the most attention. We stuffed a storefront in Manhattan with tons of fake marijuana to promote Viceland’s Weed Week, and that got people talking and sharing. Since it’s story first, use the technology to help tell it. Figure out the story the brand wants to tell, first and foremost, and then find the right tech to tell that story. While technology can enhance, don’t make the experience about the technology. Focus on the brand story. Many OOH campaigns feel like a cheap repurpose of an existing mobile experience. Bring something new to the table and scale the experiences outside the scope of a phone screen. Tell a story in a larger than life fashion that simply can’t be experienced in the palm of your hand. Then sit back and enjoy watching consumers share the experience and their selfies across social platforms. Combine that with the PR play of earned media garnered from the activation, and you have meaningful engagement. Aligning the story with the right place, the right tech and the right creative equals a memorable experience that will get consumers to stop, take their eyes off their phone, pay attention to your brand and share. 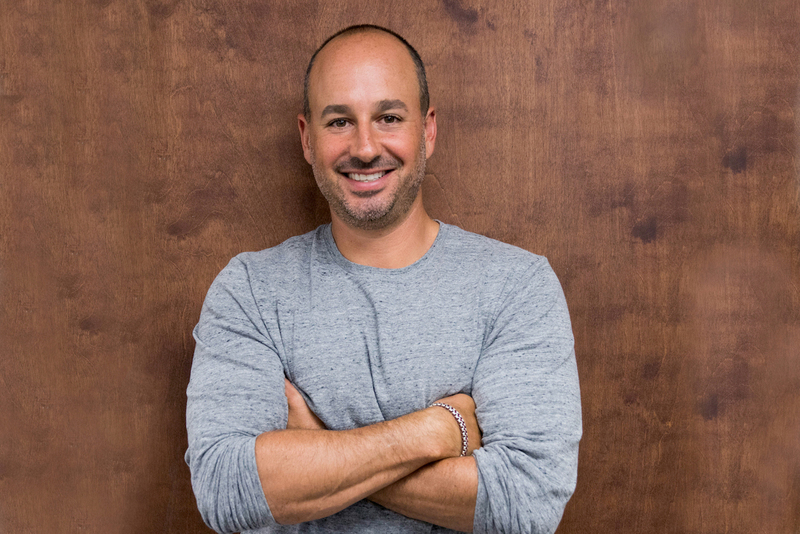 Joshua Cohen is the president and CEO of Pearl Media.